‘Tis the season to vow to…what? What’s on your current athletic dream list? Run a marathon? Qualify for Boston? Plan a girlfriend’s weekend-complete with your first half-marathon? Finally quiet that voice in your head that whispers that you can finish a 70.3 triathlon? Identifying the dream is the first step-and truth be told, it’s the easiest step. There is no shortage of athletic challenges out there. From half-marathons to ultra-marathons, sprint triathlons to cyclocross races, the world is your endorphin-laced and sweat-soaked oyster. The much, much harder part is staying motivated and focused on the dream for months. Qualifying for Boston sounds amazing, but a 5:05 a.m. alarm to pound out speed work that sets your legs and lungs aflame? Not quite as enticing, especially if you’re not entirely sure if you should do 4 x 800 meter repeats or 8 x 400 meter repeats. For many runners, a marathon tops the daydream bucket-list. But stepping up to 26.2 is hugely demanding, both physically and mentally, and your body and mind have to be ready for it. There is no glory in-and no medal for-getting injured. Progressing to the marathon distance is a much better call. Make sure you’ve recently run at least one half-marathon before you embark on a marathon. If you’ve got a fall marathon on your mind, start with a base-building half-marathon training plan this spring, then transition to a full marathon plan near the start of summer. Whether you’ve got a massive work project on the horizon or an elderly parent to care for, real life gets in the way of training-and you need to mesh the two as seamlessly as possible. A plan that calls for four or five workouts a week is best for most folks in terms of time and effort, but take a look at plans only requiring three quality workouts if you’re super-time crunched. Sounds simple, but you need to know when you start your plan. Grab a calendar and start counting backwards. Most training plans are 12 to 20 weeks long, which is a significant difference: do you want focused training for 3 months or 5? That said, if you don’t have a solid base of training, opt for a longer plan to give your body and mind plenty of lead-up. 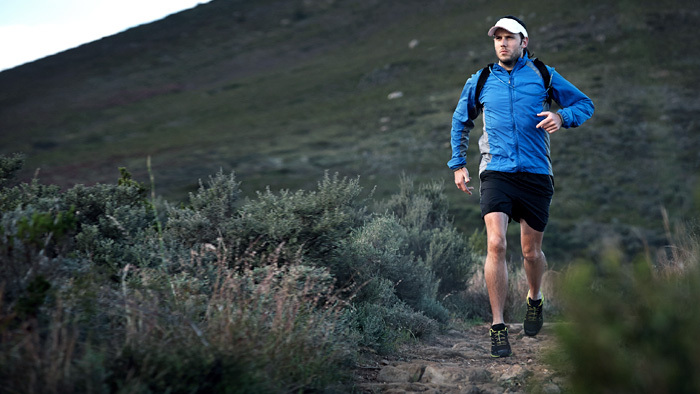 If you’re new to this running rodeo, peruse plans designed for beginners runners. Nothing extinguishes enthusiasm-and fitness gains-faster than always being exhausted and/or getting injured. Novice-oriented plans, such as the Another Mother Runner Half-Marathon and Marathon Finish It plans, focus more on building endurance than honing speed. If you’ve already completed a race distance, look at plans that incorporate more advanced training like speedwork; the Another Mother Runner Marathon Own It plan fine-tunes speed and strength to produce PR efforts. The most effective training plans push you slightly out of your comfort zone, but every workout should not be uber-challenging. The easy days should feel relatively easy to you now, in your current fitness state; if Week 2 of a plan has an easy six-miler, and your longest run in the last two months is four miles, find a less ambitious plan. If you hate hill repeats, don’t choose a plan that serves up a heaping dose of them; if the track is your nemesis, opt for a plan that slyly serves up speed boosters, not oval-shaped repeats. Dimity McDowell and Sarah Bowen Shea, mother-runners-in-chief at Another Mother Runner, are the co-authors of Run Like a Mother, Train Like a Mother, and Tales from Another Mother Runner. Use their Another Mother Runner Relay Race Training Plan to reach your goal.